Jean-Paul Hobbs is a marine biologist conducting research in the field of marine conservation biology. This includes assessing a range of human impacts on tropical marine organisms, particularly on coral reefs. His research determines what increases the risk of extinction in marine species, with a focus on endemic and vulnerable species. He is also interested in the causes and consequences of hybridisation in reef fishes. 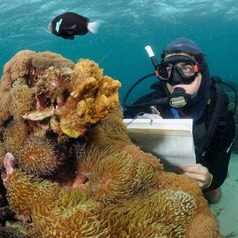 A lot of his research is conducted at remote islands (including Cocos, Christmas, Lord Howe, Norfolk) and includes working with schools and local communities to get them involved in marine conservation projects.